Wildlife caretakers released a duckling back into the wild Tuesday after saving its siblings and mother in June, a spokesman for the California Highway Patrol said. A motorist stopped at Golden Gate Vista Point on June 9 at about 3:30 p.m. to tell a CHP motorcycle officer that a duck was walking hysterically around the 19th Avenue ramp to U.S. Highway 101 in San Francisco. The motorist thought perhaps the duck’s young had fallen into a storm drain and the duck would wander into traffic, CHP officials said. 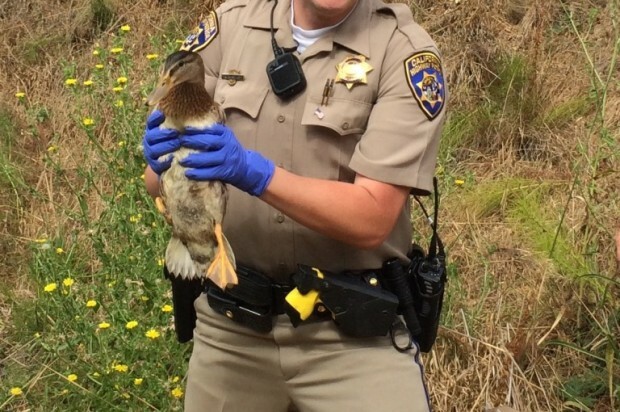 Two CHP officers responded and found the mother duck near the drain, CHP officials said. The ducklings had indeed fallen into the drain. Another officer responded and the three were able to remove the grate from the drain, according to the CHP. 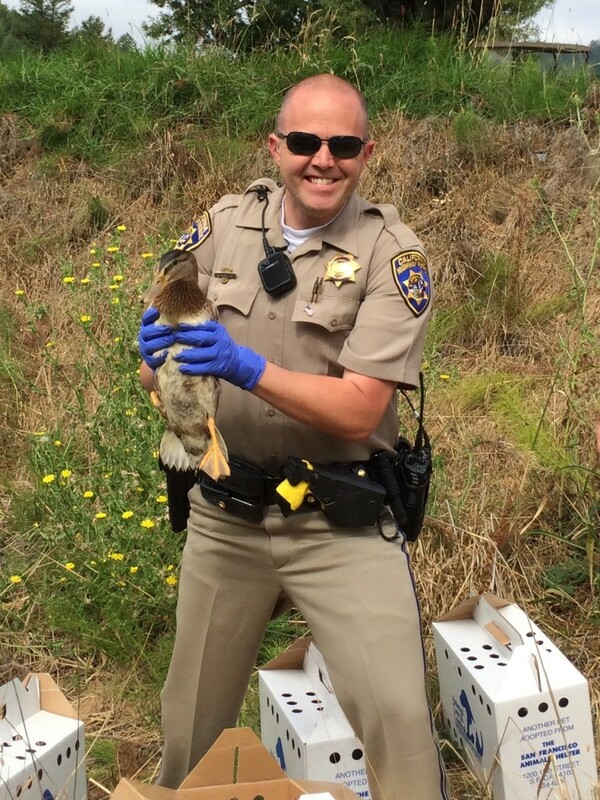 One of the officers climbed into the drain and rescued the ducklings, CHP officials said. The officers put the ducklings in the back of a patrol car and then drove them with the mother close behind to an open space and released them, according to the CHP. As the officer who drove the ducklings to the open space left the area, the officer heard a chirp inside the car. One of the ducklings was under a seat and did not get released with its siblings, according to the CHP. Officers returned to the area where they released the mother and other ducklings, but could not find them. So they took the duckling to WildCare in San Rafael, CHP officials said. WildCare workers raised the duckling until they released it Tuesday with eight other ducks in a lake at San Geronimo Golf Course in Marin County.